Adobe today confirmed that it will be sharing the full specifications of its PDF software with the Association for Information and Image Management (AIIM) . Adobe hopes to have its PDF format recognised as an international standard by the International Organization for Standardization (ISO) . Parts of the PDF software are already approved for specific tasks, but Adobe wants the full application to be standardised as an umbrella package. It will release the full PDF 1.7 specification to AIIM, which in turn will help Adobe draft a document to be presented to the ISO. "Today's announcement is the next logical step in the evolution of PDF from de facto standard to a formal, de jure standard," said Kevin Lynch, senior vice president at Adobe. "By releasing the full PDF specification for ISO standardisation, we are reinforcing our commitment to openness. As governments and organisations increasingly request open formats, maintenance of the PDF specification by an external and participatory organisation will help continue to drive innovation and expand the rich PDF ecosystem that has evolved over the past 15 years," Lynch said. He stressed that the timing of the announcement of Adobe's move had nothing to do with Microsoft's PDF competitor, XPS (XML Paper Specification) print path , which will be available in Windows Vista due to launch tomorrow. Once branded a 'PDF killer', XPS appears as a printer tool dubbed 'XPS Document Writer' in Windows Vista. If a user sends a file to this 'printer', it will save the file as an XPS document. XPS is also supported by Microsoft Office 2007 which, interestingly enough, is also released tomorrow. 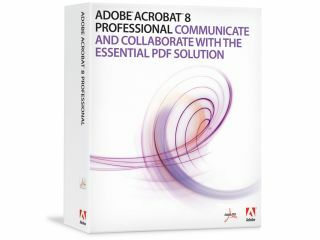 Since Adobe started publishing its PDF application in 1993, PDF has become a global de facto standard for secure and dependable exchange of information and document storage. It could take up to three years before PDF 1.7 becomes an ISO standard. Changes to the specification can be made at any point during the proceedings, according to Adobe.